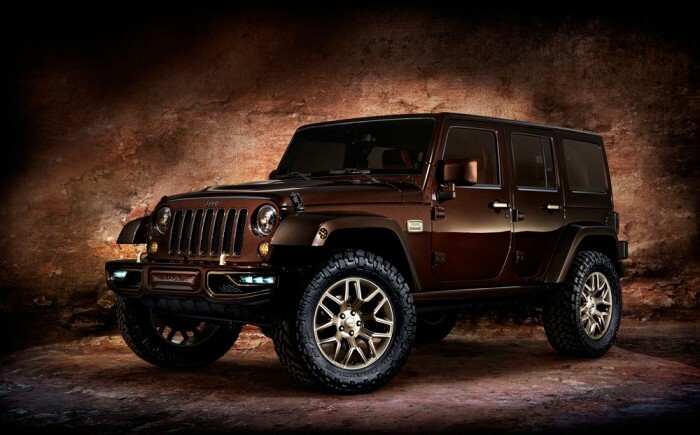 The Jeep Zi You Xia Design Concept, Jeep Cherokee Sageland Concept, Jeep Cherokee Urbane Design Concept, and Jeep Wrangler Sundancer Design Concept all represent various aspects of Jeep's portfolio and Chinese heritage. 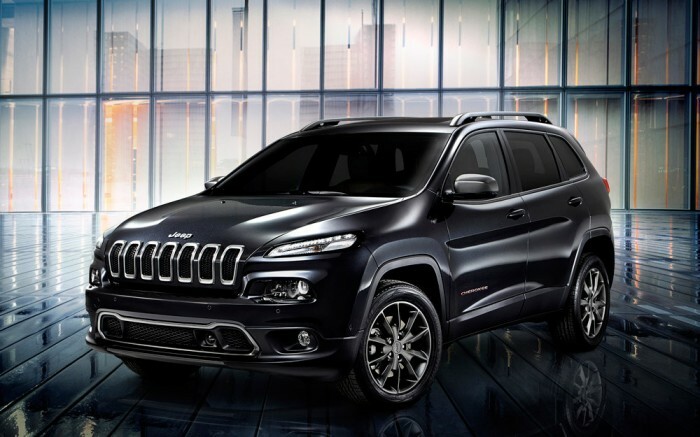 Along with the announcement that Jeep will expand its portfolio by manufacturing three new models in China, the brand brought a quartet of Chinese-inspired concept vehicles to the 2014 Beijing Motor Show to give drivers a taste of what they might be able to expect in the years to come. The four Jeep design concepts consist of the Jeep Zi You Xia Design Concept, Jeep Cherokee Sageland Concept, Jeep Cherokee Urbane Design Concept, and Jeep Wrangler Sundancer Design Concept, each with its own unique twist on an already-popular model. The Zi You Xia is based upon the Renegade that took Geneva by storm. 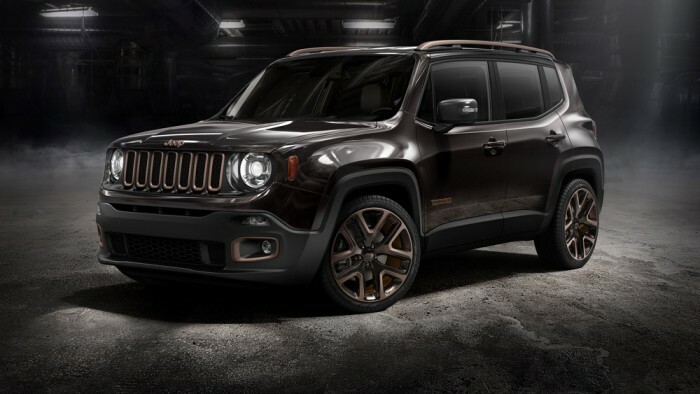 Appropriately enough, its name translates to mean “rebel,” and this unique Renegade emphasizes the more mature aspects of the model. The Zi You Xia’s Warm Chocolate Gray/Dark Anodized Bronze color scheme is influenced by that of the National Center for Performing Arts in Beijing. The Dark Anodized Bronze accents include grille throats, front fog lamp bezels, rear lower fascia, skidplate, tail lamp insert bezel and badging, and 20” alloy wheels. 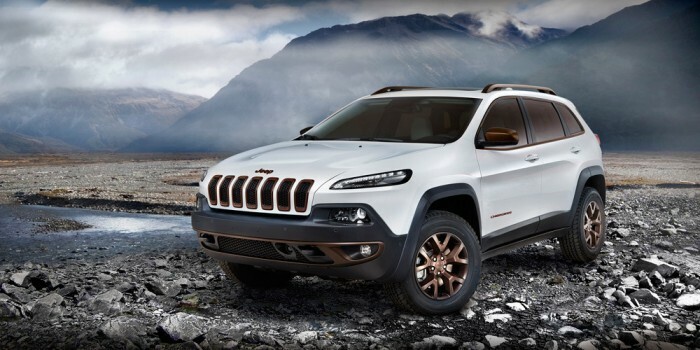 The Sageland concept represents how the Cherokee—which launched in China earlier this year to great acclaim—could branch out in future iterations. The Sageland’s design and color themes are inspired by the sights to be found in Shangri-La, with Ivory tri-coat Pearl paint and bronze grille collars and front and rear fascia appliqués. The Sageland also features Satin Bronze chrome Daylight opening, roof rack, door mirror caps, and exhaust tips, as well as grey Nappa leather seats with red and blue accent stitching. Like the Sageland, the Urbane concept represents a potential future direction for the Cherokee, evoking the glamorous night life of living in a modern metropolis with a sense of refined elegance. The Urbane gets a Maximum Steel metallic exterior with Hyper Black accents on the roof rack, door mirror caps, grille collars, front and rear fascias, wheel finishings, vehicle badging and antenna. The interior pays homage to Chinese calligraphy with brush stroke patterns in the door appliqué. The interior, Piano Black, will feature seats finished in dark red Nappa leather with bright red accent stitching. Floor mats with also feature a Chinese-inspired pattern. The Sundancer is said to combine Wrangler’s rugged presence with one of fashion-savvy and sophistication. The Sundancer concept gets a tri-coat Chocolate Brown metallic coat with gold accents. The window glass is bronze-tinted, the LED lighting in the front and rear bumper has been painted tri-coat Chocolate Brown metallic with Golden Bronze accent inserts, and the wheels are 20” pale gold billet aluminum with gold inserts. The gilded theme continues to the inside, where one will find Axis II perforated seat inserts and exclusive Berry Baltique Semi-Aniline leather; leather-wrapped and hand-sewn outer deck seam, steering wheel, and center console lid; Gold Rush painted door handles, steering wheel bezel, grab handle, gear shifter trim ring bezels, and sill plates; and Romina premium leather trimmed and wrapped floor mats.